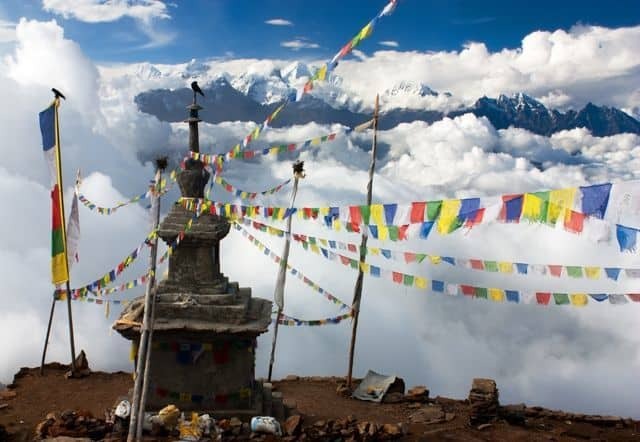 The Great Himalaya trail spans the entire length of the Nepalese Himalaya, covering 1700km from Kanchenchunga in the East all the way to Humla and just beyond in the West. 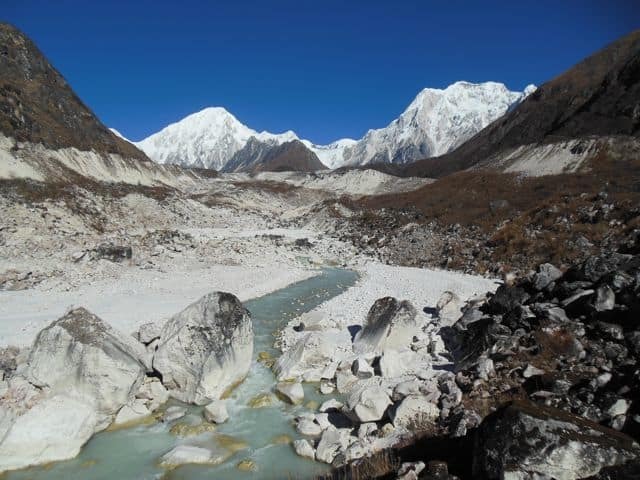 The Great Himalaya Trail follows a network of already established treks and trails which when combined together have formed one of the highest walking routes in the world. The trail follows in the shadows of the world’s highest peaks, navigating its way over high mountain passes, vast high plateaus, lush valleys, and awe inspiring landscapes while also visiting some very remote mountain communities. 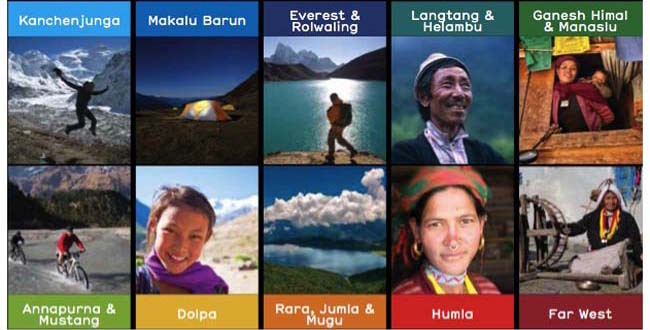 The trail can be divided into 10 separate regions of Nepal and can be done with a choice of taking a higher or lower route, with each section offering a completely different cultural experience, landscape and terrain. 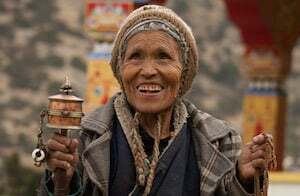 The main route travels at an altitude of 3000-6000m, while the lower cultural route brings trekkers in touch with the “real Nepal”, authentic agricultural villages surrounded by green terraced hills. This is one of the world’s greatest destinations for pure adventure, exploration and authentic cultural experiences. 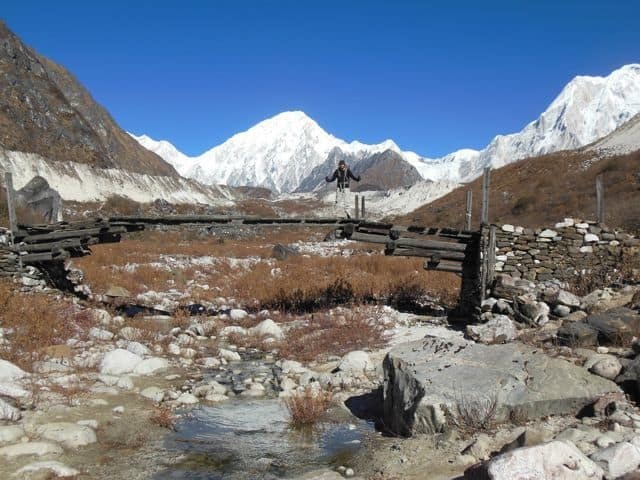 Want to trek part of the Great Himalaya Trail? 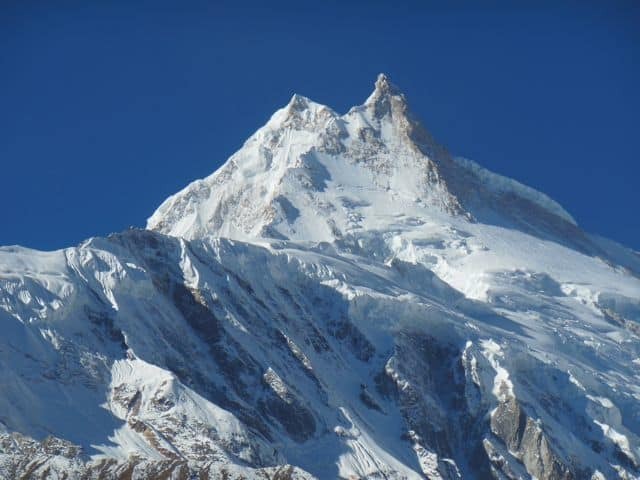 Take a look at the sections we offer on our Nepal trekking page. 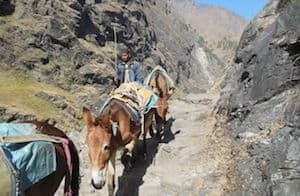 Nepal’s Great Himalaya Trail comprises of 10 sections: each a destination within itself and its own unique blend of spectacular scenery and local culture. The whole trip takes 150 days but can be split into 2-3 week trips. In addition, there are many side-treks, some short, some long, some teahouse-style and some camping treks. It is a link up of many existing trails and some new ones. Some sections can even be cycled including the Annapurna Circuit. 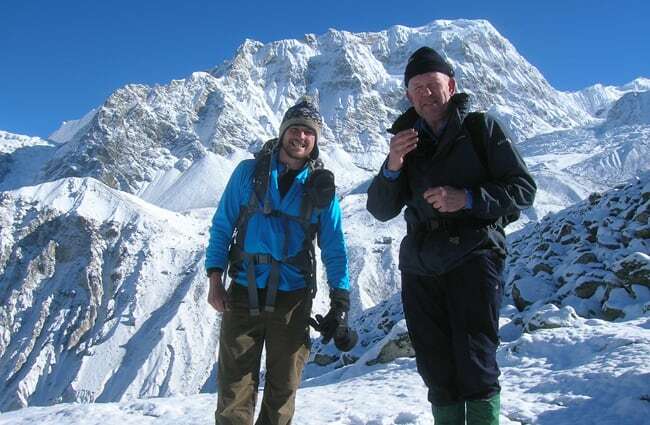 Alternatively see the sections that Lost Earth Adventures offer as set departures on our Nepal trips and treks page. Who Developed The Great Himalaya Trail? The locals – The trails have been there for many years! People live all across Nepal, some many days walk from roads and towns. 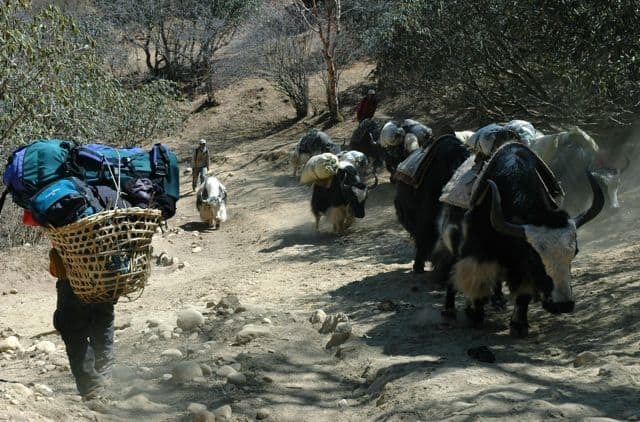 The paths act as trade routes where goods are transported via animals or by porters. Some of these trade routes even cross the borders with India and Tibet. 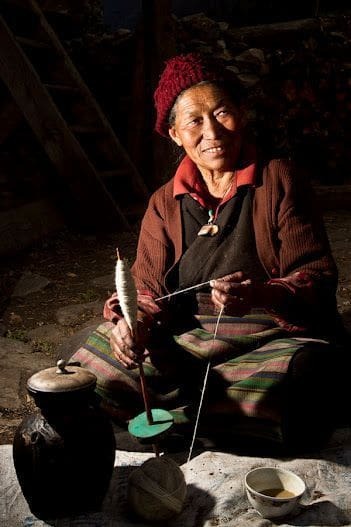 There are thousands of villages covering the Himalayas and in these remote regions the cultures have been untouched for thousands of years. Who Pioneered the Great Himalaya Trail? There have been half a dozen or so people that have walked the length of the Himalaya over the past few decades. A pair have even run it! 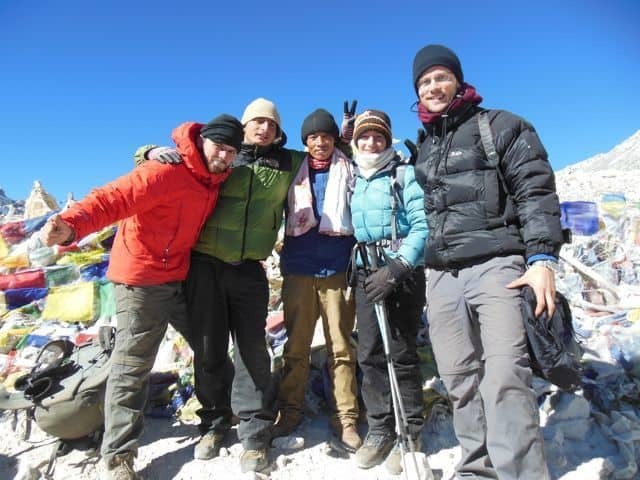 However it was early 2009 that truly gave birth to a Great Himalaya Trail. Thanks to a man called Robin Boustead who was the first to document his route meticulously. He walked the trail in stages with support from his wife and friends and wanted to create a trail that many people could repeat. The Great Himalaya Trail is now being promoted to attract more visitors to Nepal, benefitting the tourism industry and its associated support sectors, channeling tourists and investment to under-developed districts. This creates a wide range of jobs in impoverished local communities. Tourism is a vitally important economic sector for Nepal being its 3rd largest source of foreign exchange revenue. Tourism can yield high levels of employment and income for the poor and in rural areas, where few alternative development opportunities exist. Visiting the less popular and developed areas also gives you a more rewarding experience! 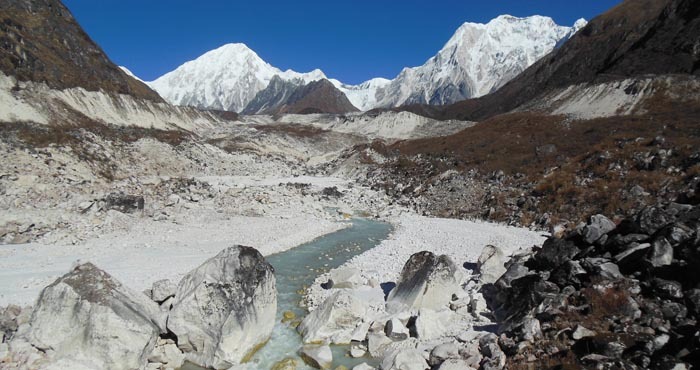 The Great Himalaya Trail is made up of a network of many footpaths old and new. The two suggested routes below are possible but they do not have to be followed precisely. The thicker line on the top half is the higher route that Robin Boustead developed and the green dotted line below is the lower route. The higher route is more demanding and offers more dramatic scenery whereas the lower route takes you much further beyond the beaten path and offers more of a cultural experience. 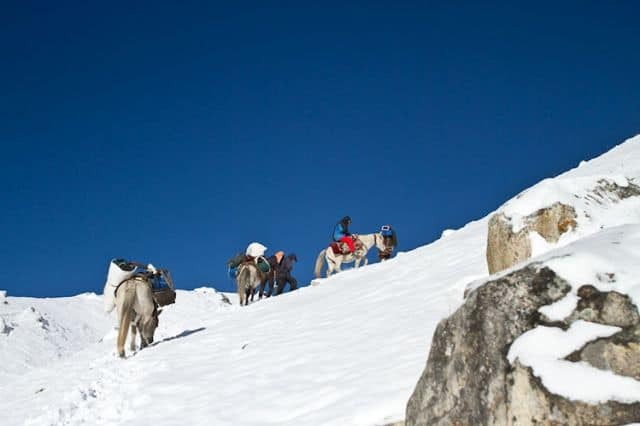 Click on the arrows below to take a photographic journey through The Great Himalaya Trail. 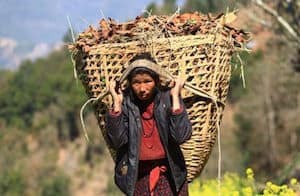 We are working with the Great Himalaya Trail Development Programme and our charity the Share the Load Foundation to stimulate economic growth in these areas. 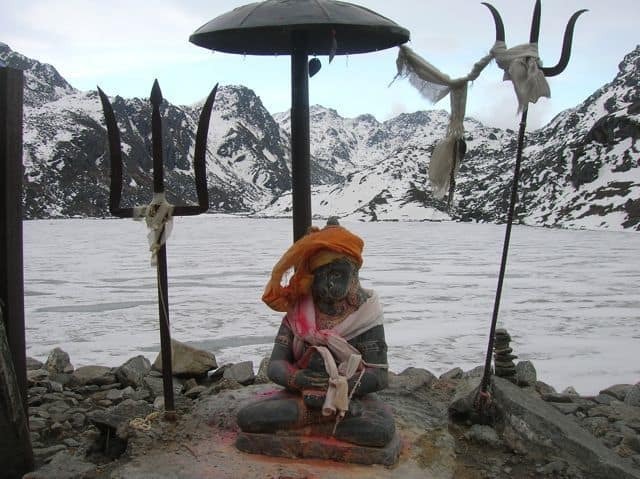 When you trek in any of the regions of the Great Himalaya Trail you are required to buy trekking permits. The money is a great help in developing the communities. Your fees get spent primarily on education, renewable energy, trail maintenance, medical posts, sanitation, water supply and teaching responsible tourism practices. At Lost Earth Adventures, health and safety is our top priority.  All our trips are run to UK and international safety standards, and are proud to surpass these standards in many areas. We are a fully bonded tour operator, ensuring your financial protection.